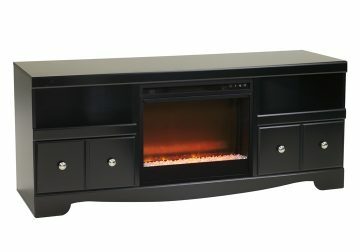 Blending a rich, dark finish with sleek, clean lines, the Shay TV stand brings a highly contemporary vibe into your living space. Adjustable shelving makes it easy to accommodate your media equipment needs and showcase pretty home accents. 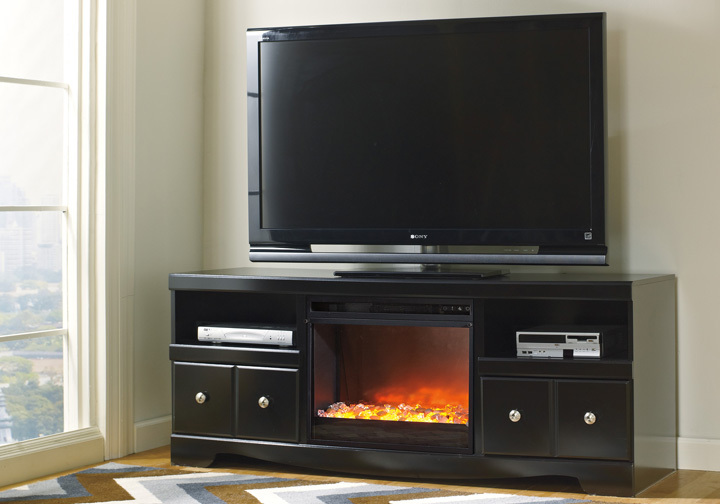 The fireplace insert includes an electric flame feature that operates with or without heat, six-level temperature setting, five levels of brightness and remote control—along with an overheating control device for added safety.